Joel Pérez, shown at right, performed in a developmental lab workshop of On Your Feet!, the new musical featuring the music of Gloria and Emilio Estefan. With a book by Alexander Dinelaris, the workshop was directed by Jerry Mitchell and choreographed by Sergio Trujillo and took place in November at the New 42nd Street Studios in the theater district of midtown Manhattan. The musical is scheduled to debut on Broadway in October 2015. For more information, click here. In addition, he is scheduled to make his Broadway debut in the musical Fun Home. Written by Lisa Kron (book and lyrics) and Jeanine Tesori (music) and based on the graphic memoir of Alison Bechdel, it played several sold out months off-Broadway at The Public Theater. The Broadway production will be directed by Sam Gold and star Michael Cerveris and Judy Kuhn. Previews begin at the Circle in the Square Theater on Friday, March 27, 2015 with a scheduled press opening in Sunday, April 19, 2015. For more information, click here or here. 2014 HOLA Awards recipient Jeannie Sol will be singing at a Christmas show on Sunday, December 21, 2014 at Ginger's Bar, located in the Park Slope neighborhood of Brooklyn. Jorge Berríos and Laura Riveros star in the Tabula RaSa NYC production of The Winter of April. Written by Ricardo Sarmiento Gaffurri and directed by Ramiro Antonio Sandoval, the production is running in December at Theater for the New City, located in Manhattan's East Village. For more information, click here. 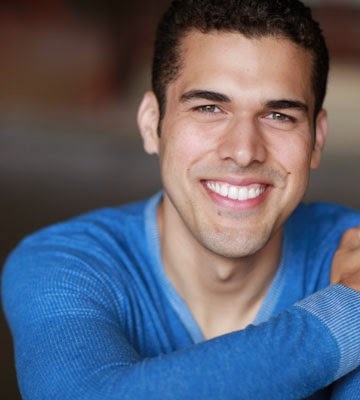 Jason Torres will star opposite Kim Vogels in The Cellist, a short film written and directed by Arnold Pitre. The film is scheduled to start shooting in January 2015 in New York City. José Sepúlveda will star in the short film Levi (written and directed by Arielle Evans), scheduled to start filming in January 2015 in New York City.